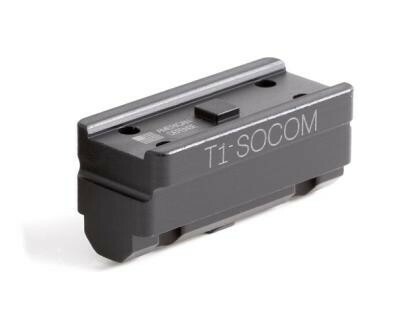 The Aimpoint T1 Micro Mount ( Aimpoint not included ) is a pre-assembled unit utilizing our AD-B2 modular base and your choice of risers ( co-witeness or SOCOM height ). It is precision machined from 6061 T6 aluminum and finished in hard coat T3 Mil-Spec anodize. It features the Patented QD Auto Lock™ Lever system to accommodate both in spec and out of spec rail systems.